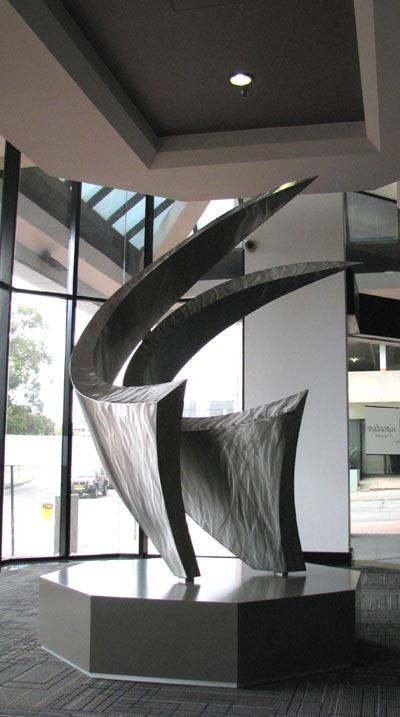 This foyer sculpture, 'Sails II', is a progression from my earlier work, 'Sails'. The forms appear simple, however, as you can see from the images, a dramatically different presentation of the work occurs depending upon the viewer's location. 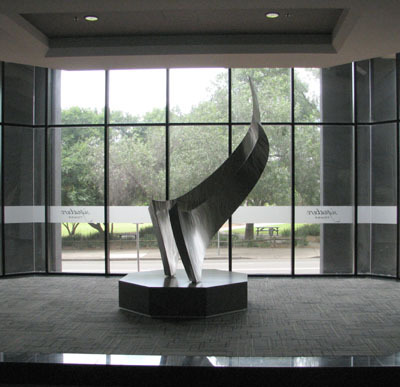 This is achieved by the curves of each of the two elements and their interplay. 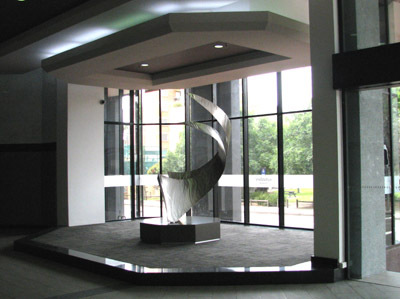 While this sculpture is an interior siting, I do think that its organic curves would work equally well in the landscape. 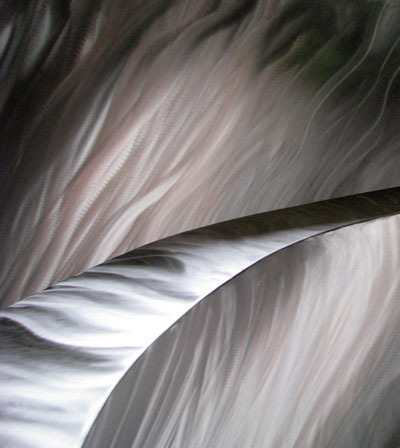 The texture that I developed for the finish is reminiscent for me of the play on surfaces of water-reflected sunlight. 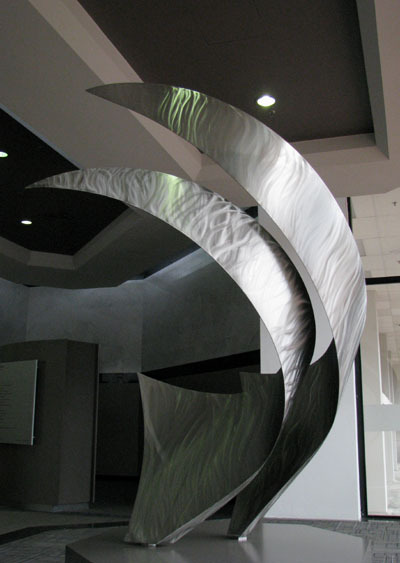 This texture also allows relatively easy repair of scratches, which is an important consideration in a public space.